eLife is conducting an open search for a new Editor-in-Chief to succeed Randy Schekman. Updated January 23, 2019: Randy Schekman will be stepping down as Editor-in-Chief of eLife on January 31, 2019. We hope to announce his successor in the near future. To mark his departure Randy has written an editorial in which he reflects on the origins of the journal, the eLife approach to peer review, and current challenges in scientific publishing. 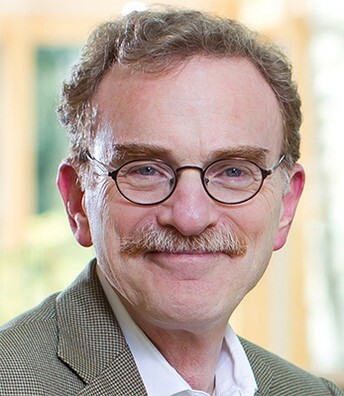 After seven years as eLife’s founding Editor-in-Chief, Randy Schekman will be stepping down in early 2019, when he will be dedicating more time to his role as Chair of the Advisory Council for the Aligning Science Across Parkinson’s initiative. Randy has achieved a huge amount during his tenure at eLife and has led the journal and the organisation towards our mission to improve research communication. There will be much more to say about Randy’s contributions to eLife, as we prepare to bid him farewell in the coming months. eLife is therefore seeking a new Editor-in-Chief to lead our efforts to improve the communication of new research findings across the life and biomedical sciences. The Editor-in-Chief is the public champion and leader of eLife, responsible for our goals as a publisher of excellent science, a developer of new tools and technology, and a voice for change. With the progress that eLife has made over the past seven years – in peer review, technology development and advocacy for reform in the evaluation of research – the incoming Editor-in-Chief will have a strong foundation to build on to catalyse real improvement in the conduct and communication of research in the life and biomedical sciences. To help identify the inspiring leader who will serve as eLife’s Editor-in-Chief, we are conducting an open search. Applications are now being accepted; the responsibilities and application details are available on our website (see the link below). A search committee, comprising members of the eLife editorial board, Early-Career Advisory Group and executive team, and a researcher who is not an eLife editor, will create a shortlist of outstanding candidates. A subcommittee of the eLife Board of Directors will oversee the search process and will appoint the new Editor-in-Chief. The Editor-in-Chief Appointment Subcommittee includes Prachee Avasthi (University of Kansas Medical Center, USA), Toby Coppel (Mosaic Ventures, UK; and Chair of the eLife Board), Jim Smith (Wellcome, UK), and Bodo Stern (HHMI, USA). The members of the Search Committee are: Mani Ramaswami (Reviewing Editor; Trinity College, Dublin, Ireland), Jeff Settleman (Senior Editor; Calico Life Sciences LLC, USA), Brianne Kent (ECAG Chair; University of British Columbia, Canada), Jennifer McLennan (Head of External Relations, eLife), Mark Patterson (Executive Director, eLife), Jeremy Nathans* (Reviewing Editor; Johns Hopkins, USA) and Janet Rossant* (University of Toronto, Canada). For further details, please read the job description. Questions and comments are welcome. Please post comments here or contact us at hello [at] elifesciences [dot] org. For news on our search and other news from eLife, sign up to receive our bi-monthly newsletter. You can also follow @eLife on Twitter. *Replacing Suzanne Pfeffer (Reviewing Editor; Stanford University, USA) and Sophien Kamoun (The Sainsbury Laboratory, Norwich, UK) who withdrew from the committee.